By Autoflug of Hamburg. 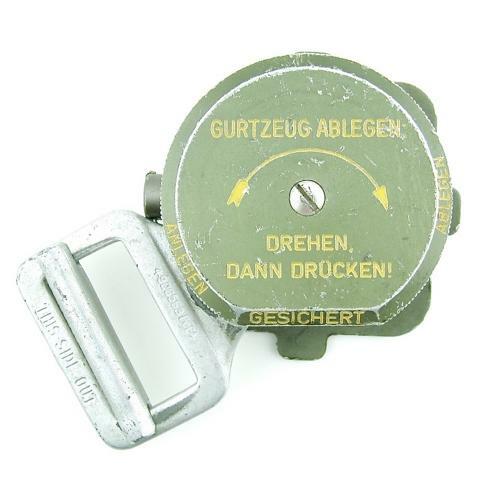 Post WW2 parachute quick release box (QRB) produced for the Luftwaffe. This example has a permanently attached harness plate that appears to have been added for RAF use. Good working condition with manufacturer details to reverse. Also stamped 'MOD 17'. Stock code S22942.